Donnie Pradith is also facing charges for reckless driving, firearm possession incidents in April. A man facing charges for allegedly fleeing the police while in possession of drugs and a firearm was charged for ramming police cars twice earlier this year. Donnie Pradith, 27, was arrested on Tuesday, Oct. 9 after police say he ran over a person, crashed his allegedly stolen car and then barricaded himself inside a resident's shed after ditching a firearm, according to a news release. 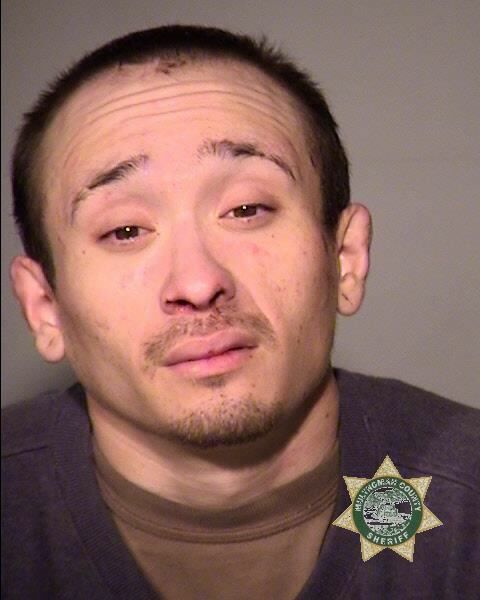 The incident began around 2:48 a.m. when a North Precinct officer attempted to pull over the driver of a 1994 Toyota Camry who had failed to yield near Northeast 31st Avenue and Broadway. Police say their officer did not pursue the Camry, but the motorist apparently ran over and injured another man before crashing onto a green space at the three-way intersection of Broadway, Cesar E. Chavez and Sandy boulevards. The suspect, later identified as Pradith, apparently ran into a stranger's shed on the 1600 block of Northeast 40th Avenue. By the time Pradith was taken into custody at 6 a.m., police say they found a gun in a yard near the shed. 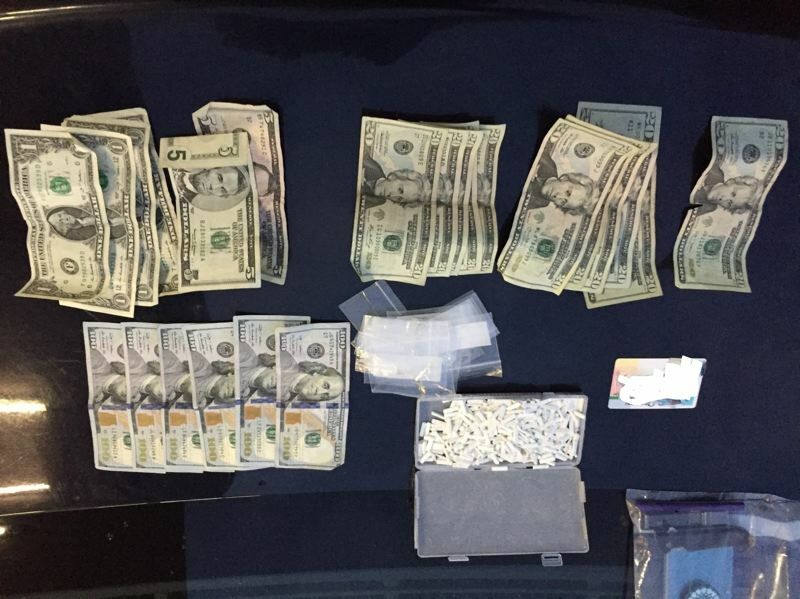 The authorities say they also found 300 Xanax pills and $800 in cash in the Camry, which was reported stolen by a resident as the incident unfolded. Pradith faces charges for unlawful use of a motor vehicle, attempt to elude on foot and by car, failure to perform the duties of a driver, felon in possession of a loaded firearm and second-degree burglary. More drug charges may be added later. This isn't Pradith's first interaction with the Portland Police Bureau. Twice in April of this year, Portland Police found Pradith slumped behind the wheel of a car. On both occasions, police say Pradith rammed their patrol vehicles upon awakening. According to a booking document, Pradith uses heroin daily and is unemployed. 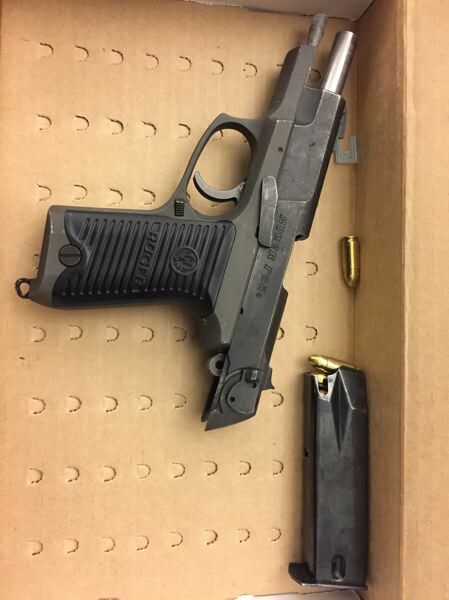 Around 6 a.m. on April 14, Pradith was found unconcious inside a white Chevy truck parked near Southeast 122nd Avenue and Foster Road with a firearm in his lap. Police placed spike strips behind the wheels of the car and then tried using a loudspeaker to wake him up. When that didn't work, the officers threw a rock and then apparently fired a 40mm round to get Pradith's attention. Pradith allegedly rammed the patrol car two or three times, according to a probable cause affidavit, then drove through a fence, causing $1,000 in damage. "Officers were unable to locate Pradith to place him under arrest," a district attorney explained. A week later, on April 21, police responded to Southeast 57th Avenue and Knight Street on reports of a man slumped behind the wheel of a Hyundai. This time, officers attempted to wake the man using an airhorn and then a loudspeaker. Pradith woke up and allegedly reversed into a patrol car, then crashed into another parked car and drove away. He was located and arrested near Southeast Long Street and 45th Avenue. "As Pradith was escorted out, he looked at Officer Wilbon and stated, 'Hey, I remember you,'" according to the affidavit. "Officer Wilbon recongnized Pradith from his contact on 4/14." Pradith entered a not guilty plea for a variety of charges in April, including reckless driving, felon in possession of a loaded firearm and first-degree criminal mischief. Charges of fleeing and unauthorized use of a motor vehicle were dropped.